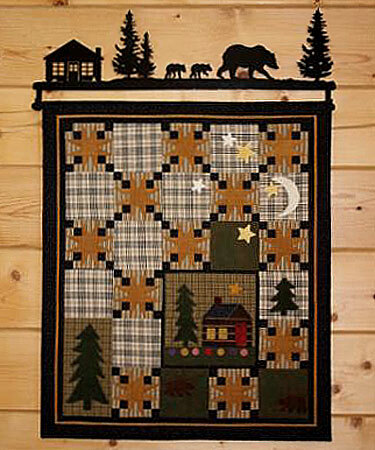 28" Custom Bear & Cabin design. Love my hanger, thank you. Thank you for the hanger. 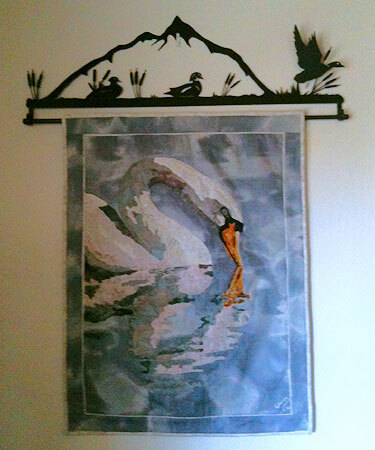 Thanks so much for the quick turn around for my custom hooks-they are wonderful! stateside as a Marine during Korea, my nephew joined the Navy in 1988 and served in Desert Storm and both Iraq and Afghanistan and is an officer now. My son is a Midshipman at the US Naval Academy in Annapolis in his Youngster/Sophomore year and plans to service select Marines in his Firstie/Senior year. 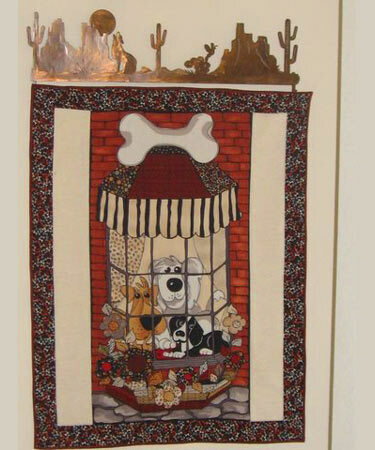 special wall hanging in our house! My wife and I are very happy with them. 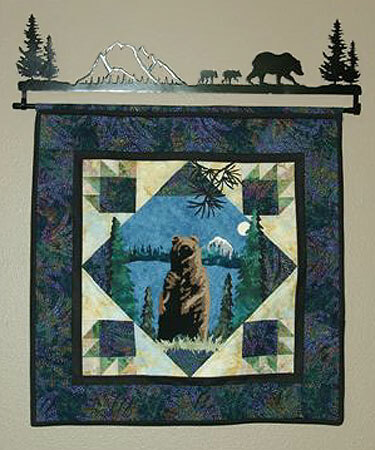 A bear in the mountains quilt. 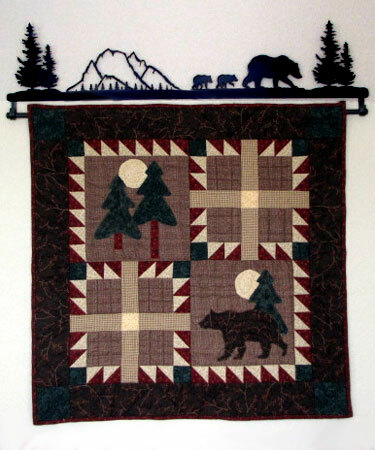 The pattern is Adirondack wall hanging. 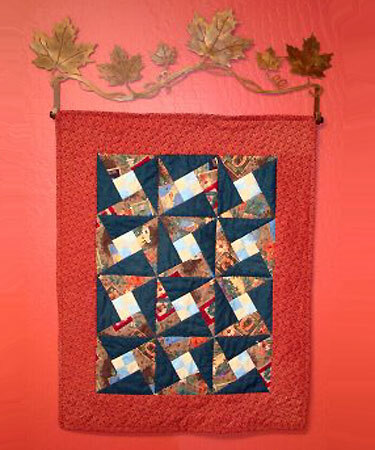 Your quilt hanger really makes it shine for me. 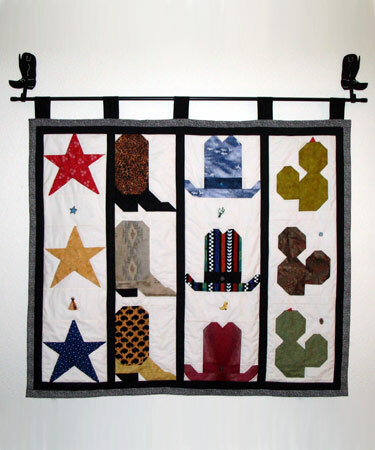 pick-up truck quilt hanger. It turned out great!! 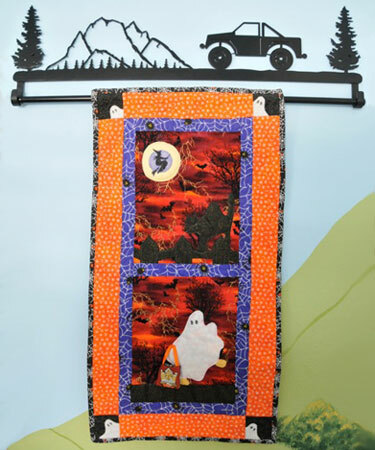 Here's a picture of it with our Halloween quilt on it. My son really likes it. 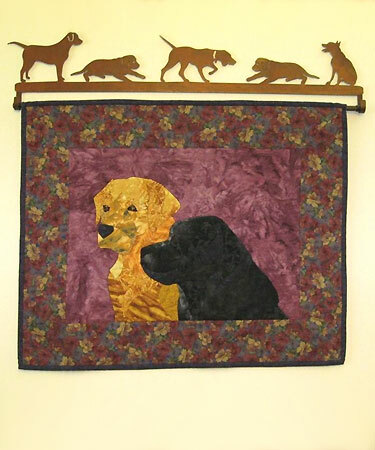 You made a custom dog quilt hanger for my lab quilt. I really enjoy the hanger you made for me! 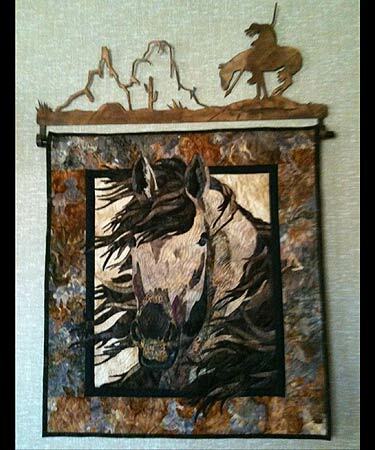 and her love of horses. we don't have a window in our bathroom and she created this "window" for me. 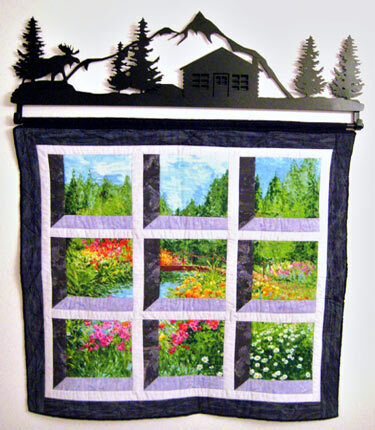 perfectly with the quilted window! Thanks again! 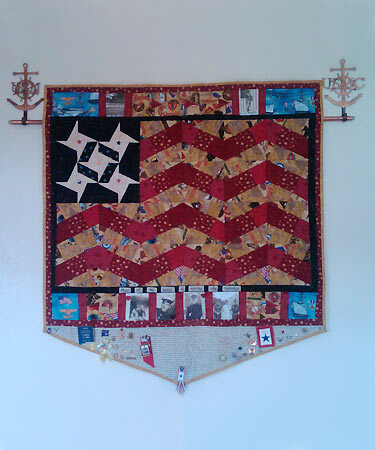 This is a crazy quilt made by my husband's sister. 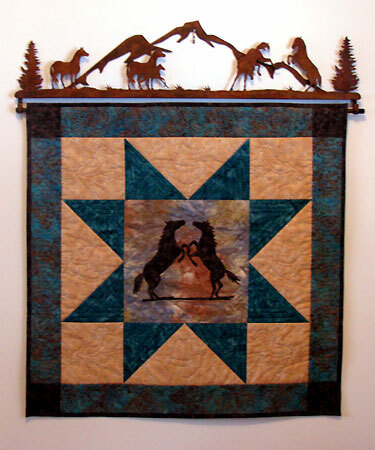 our family members to create this quilt. that were part of his life such as his dog and cats. 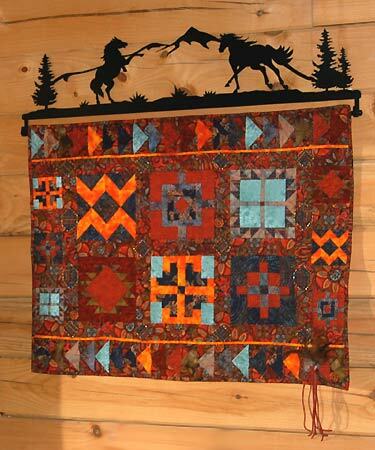 we decided to hang the quilt. 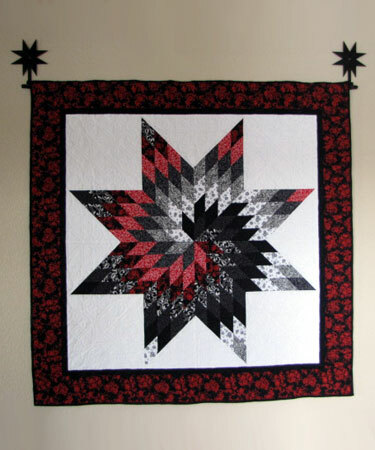 "Spinning Lone Star" by N. Baranczyk with two star hooks designed for this quilt. 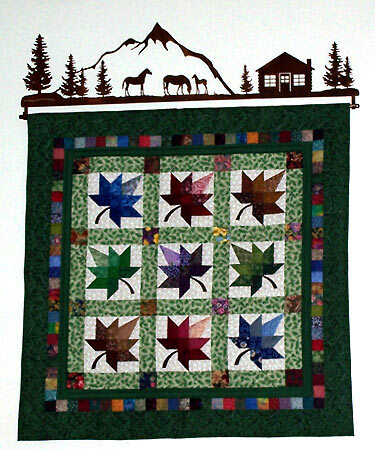 represent the change of seasons, especially autumn. 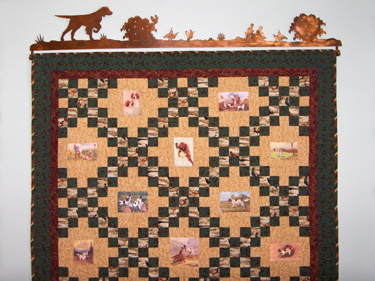 The wall art is the perfect compliment. 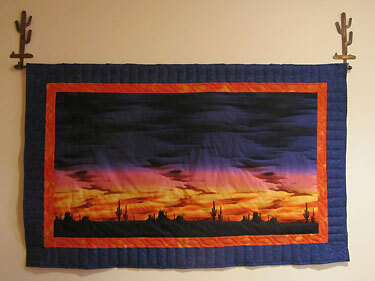 John Flynn quilt class project. 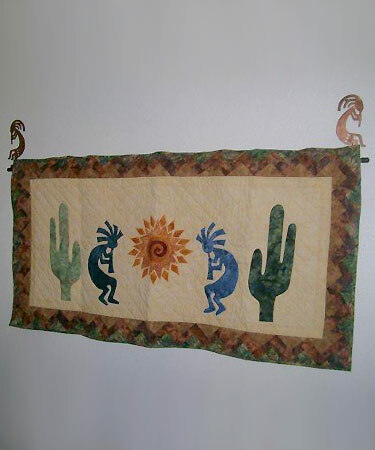 for her southwest kokopelli quilt. 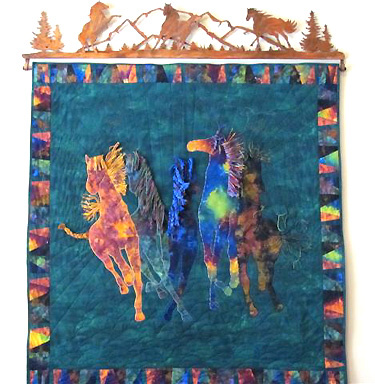 3-D Custom Wild Horses design. 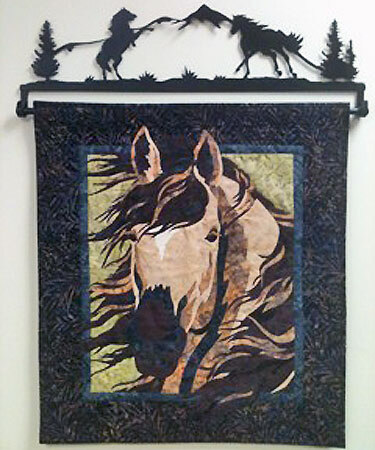 This is the Wild Horses quilt I made and my husband strung lots of beads and shaped the manes and tails of the horses. All in all, we're thrilled with the results. 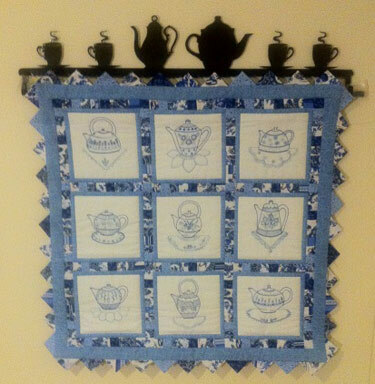 34" Teapots and Teacups quilt hanger. 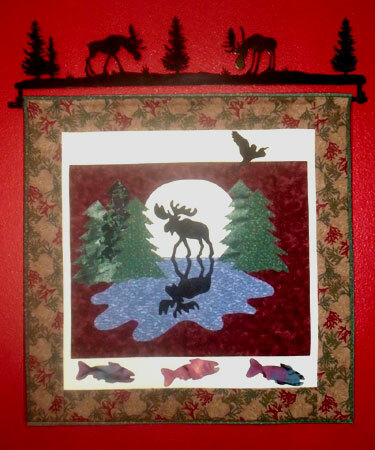 What a fabulous accent to my son's wallhanging! 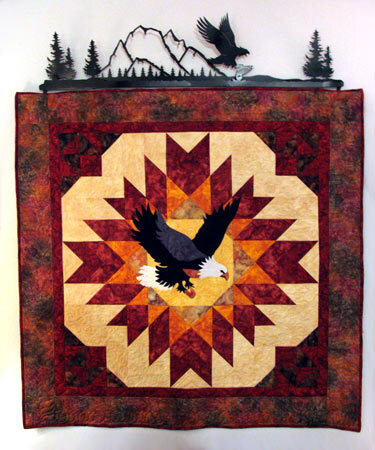 for the hanger it's great. Custom Setter on Point design. 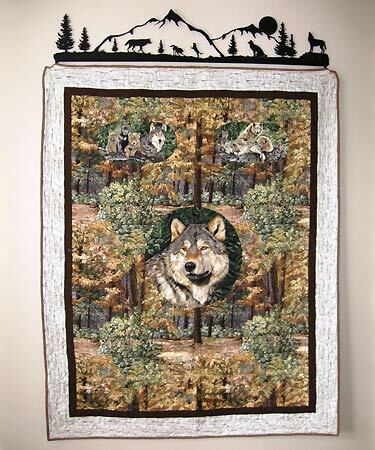 well I definitely found it....It looks great...Thanks. 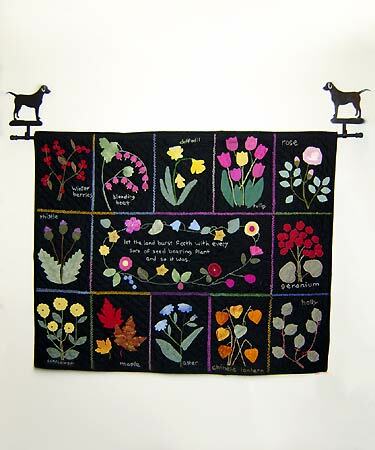 wall hanging I made for my Mum. 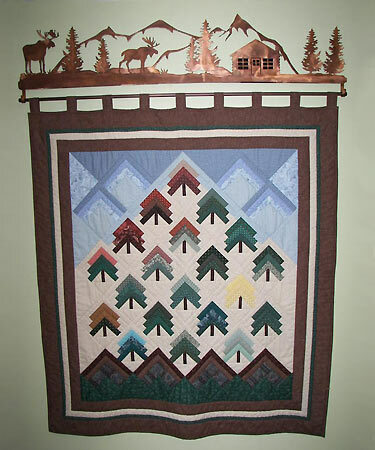 The name of the quilt is Moose Crossing. that you made me and my husband. 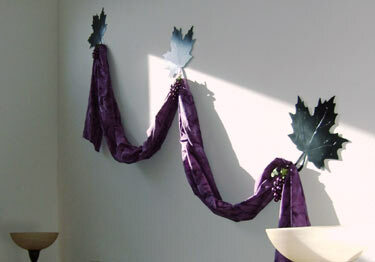 Custom Grape Leaf Quilt Hangers. The family room is a different hue than the dining room. 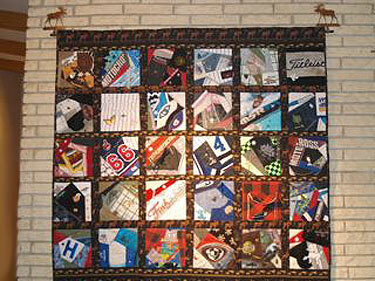 The family room wall is so very large that this is the first time that anything has ever been put on this wall. 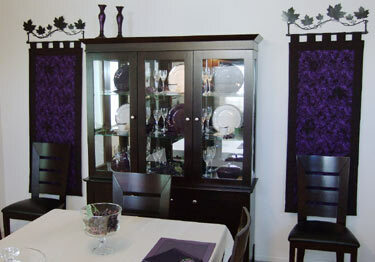 The dining room has a very large table and china cabinet that look almost black in photos so the tabards that we created to go on the hangers we bought at the show turned out perfect. Thank you so much. you made for me. Thanks, R. Post. I'm sure he is going to absolutely love it.